Not all spectacles are made equal. I would know. I wore them for most of my childhood, teenage years, all through adulthood till I became a mother. I went for Lasik only when Ben smashed my glasses being the curious baby he was. 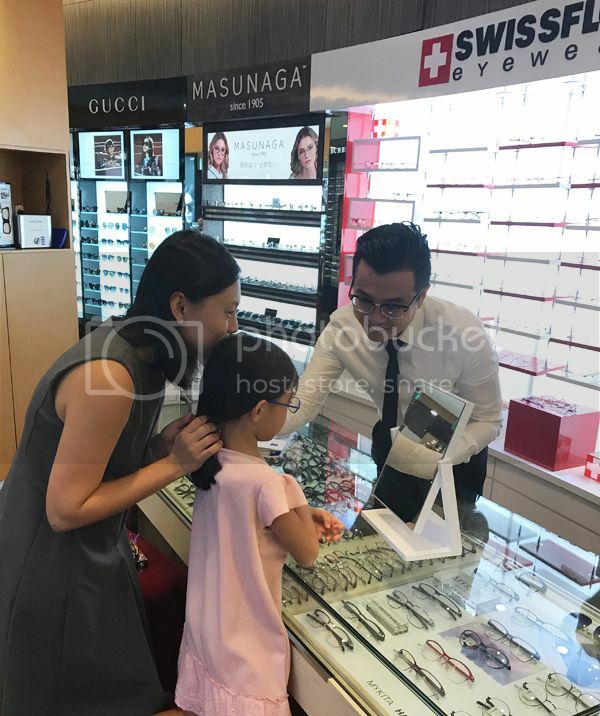 And I wished spectacles that could control my myopia were readily accessible to me back in the days when my vision got worse with every yearly health checkup. My lenses just got thicker and uglier. 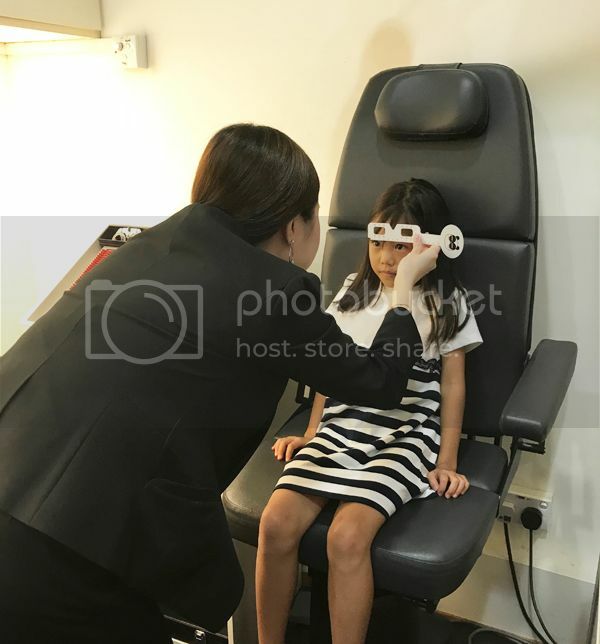 Yes, there is such a thing called myopia control lenses, and just by wearing it, your myopia gets some form of control. And who else knows it better – that myopia needs to be controlled in childhood – than me. I have lived through it and I do not want my kids to experience uncontrolled childhood myopia. Becks gets to reap the benefit of technology, specifically an innovation from ZEISS. 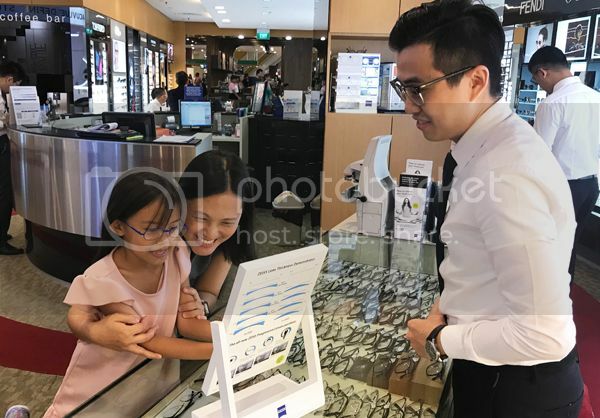 And thanks to the folks at W Optics, she got fitted with a pair after a routine eye checkup to ascertain her eye health. 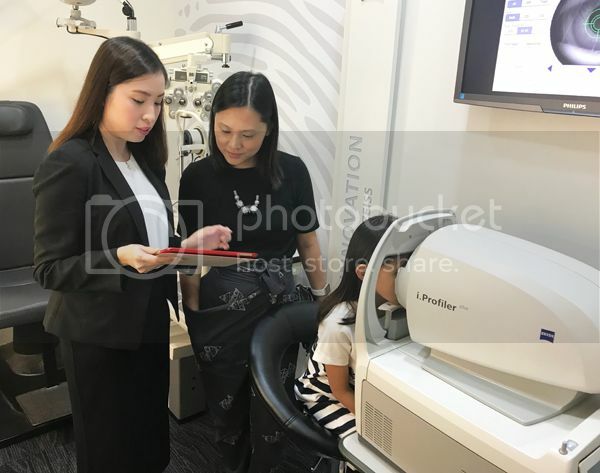 At the very spacious and welcoming W Optics at Great World City, Becks was introduced to a friendly optometrist who took her through a series of tests in the rooms with the “machines”. 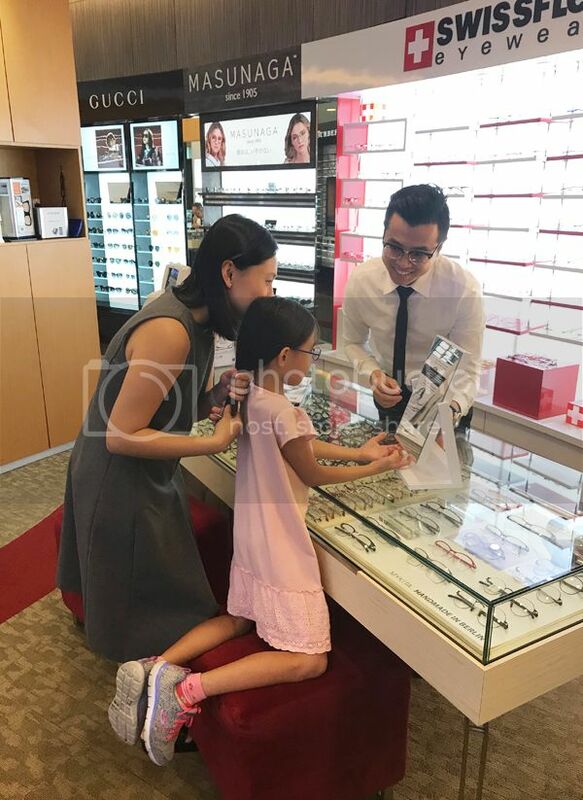 Though initially shy, she soon warmed up when the experienced optometrist made small talk by asking her questions about her lifestyle, which was essential in understanding her habits and routine. Of course, a parent needs to be present at all times, and I happily chipped in by echoing her bad habits and how she loves to lie down on her stomach to draw on the floor. 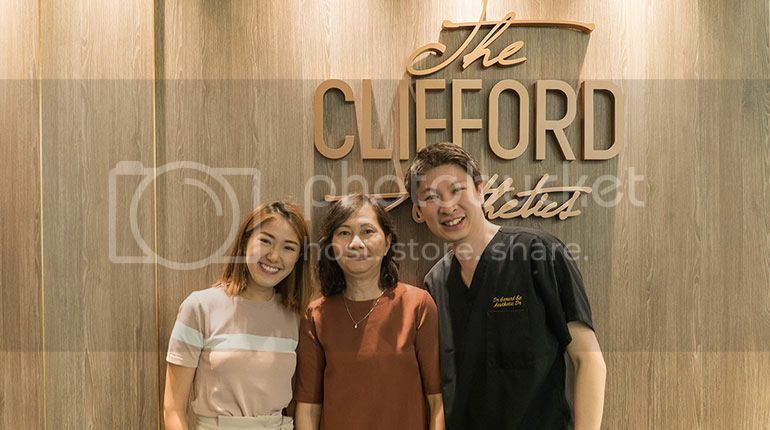 Which became a perfect opportunity for the expert to share tips on maintaining good eye health with good habits: being mindful of the distance when she does near-work, getting enough outdoors to get Vitamin D, eating well and taking regular vision breaks from the screen. 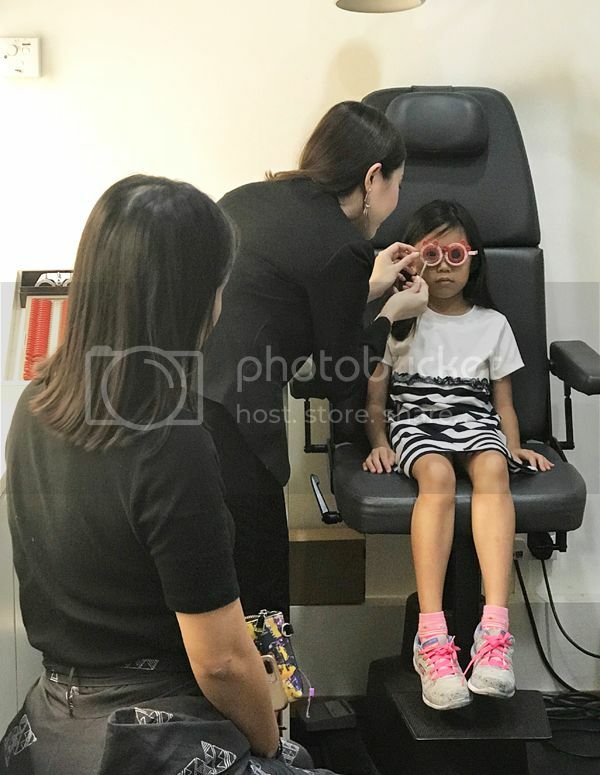 She also did a comprehensive eye checkup that consisted of evaluating the state of her eye pressure, binocular vision, visual acuity, visual function, colour vision and corneal and retinal examinations. These checks were brief and didn’t take long. The assessment findings, save for a slight increase of power in her right eye, came back normal and assuring. 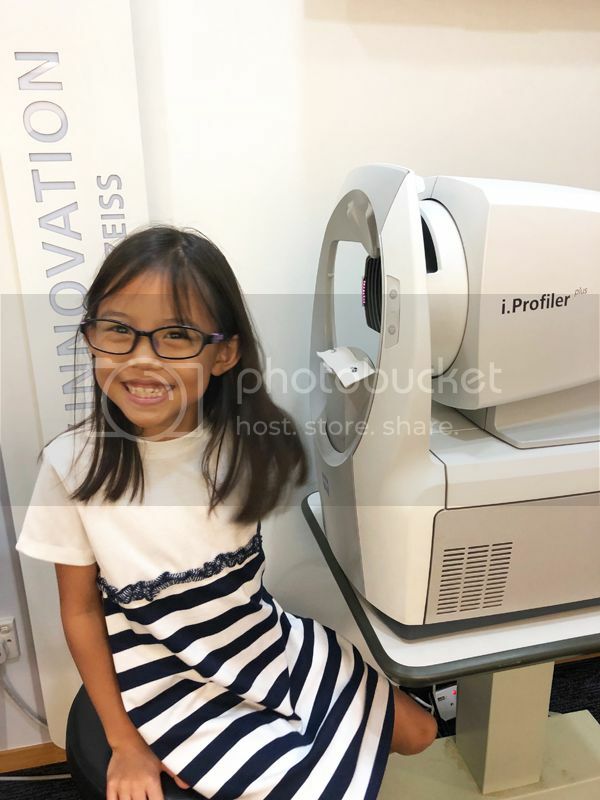 We were then introduced to the ZEISS Myopia Management solutions for children. They comprised two solutions: ZEISS MyoVision Pro Lenses and ZEISS MyoKids Lenses. These solutions are both customised for myopic children and optimised for their lifestyle. We were recommended the ZEISS MyoVision Pro Lenses for Becks after her assessment. ZEISS MyoVision lenses follow the principles of “Peripheral Defocus Management” by the correcting the peripheral “hyperopic shift” affecting myopic eyes and sending a signal to the eye to reduce the progression of eye elongation, which can result in the reduction of myopia progression. This means that power isn’t equally spread out in each lens, in layman speak. This translates to the image projecting on the retina centrally, and the peripheral image being shifted forward instead of backwards as compared to standard lenses, in the long run reducing the chances of her eyes elongating. We all know that shortsightedness happens when that happens. Becks also picked out a from Swissflex which was light, bendable and flexible. Comparatively speaking, the frames felt weightless to the one she is wearing on now. 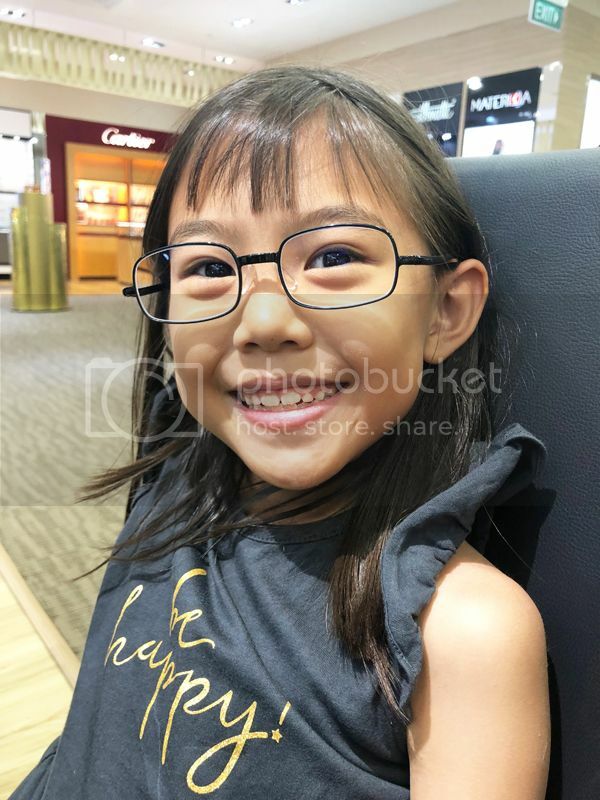 Initially she wasn’t too used to her new spectacles but I am glad to report she is liking her spectacles more with continual wear. 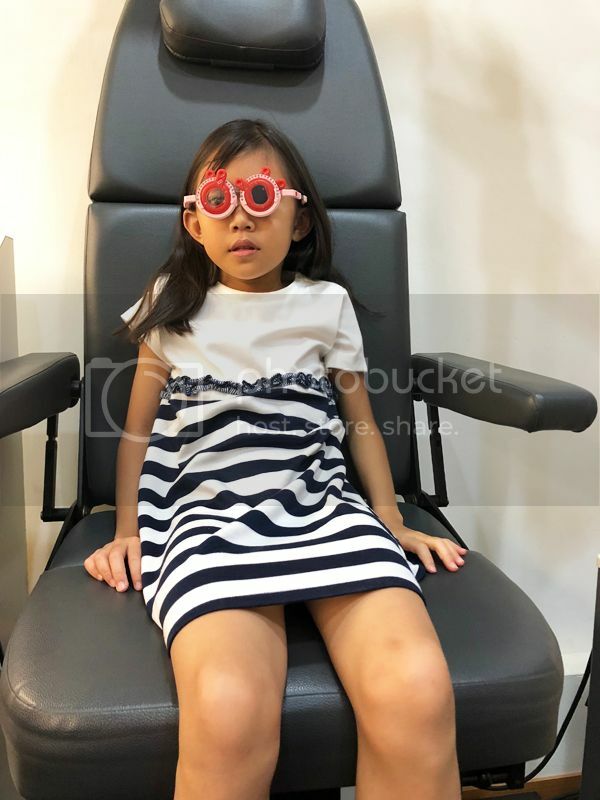 A visit in 6 months is due next March to assess if the myopia treatment is working and that her shortsightedness doesn’t deteriorate and remains stable. If so, it is unlikely she needs another change of glasses (yippee!). 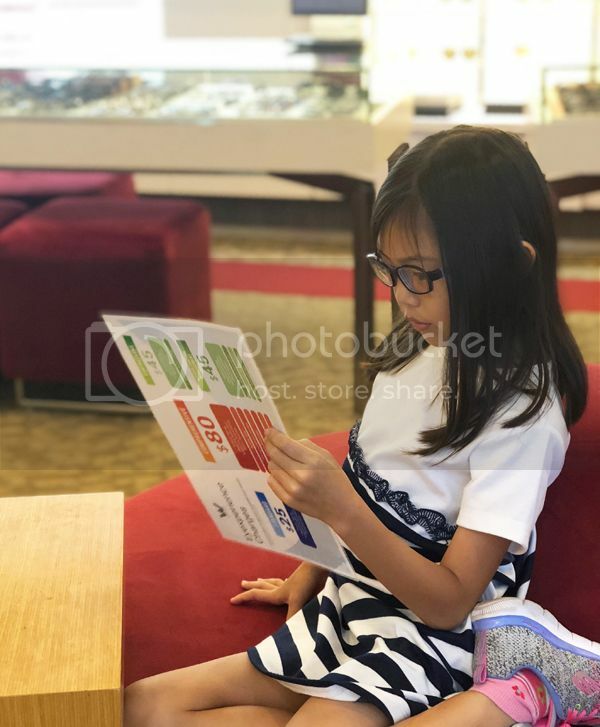 After all, we’ve got a pair of very good spectacles that controls her myopia when her eyes move to see near and far, comes with the ZEISS UVProtect Technology, as well as the ZEISS DuraVision BlueProtect coating that blocks light from digital devices. With technology, we can prevent and protect. 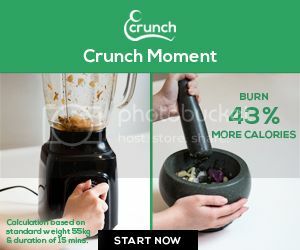 And free up our time to do more important things. 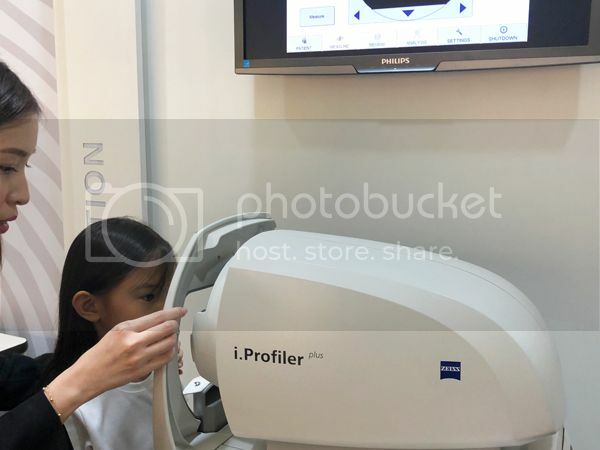 Disclosure: We were invited by W Optics to try out ZEISS Myopia Management. All opinions here are our own.